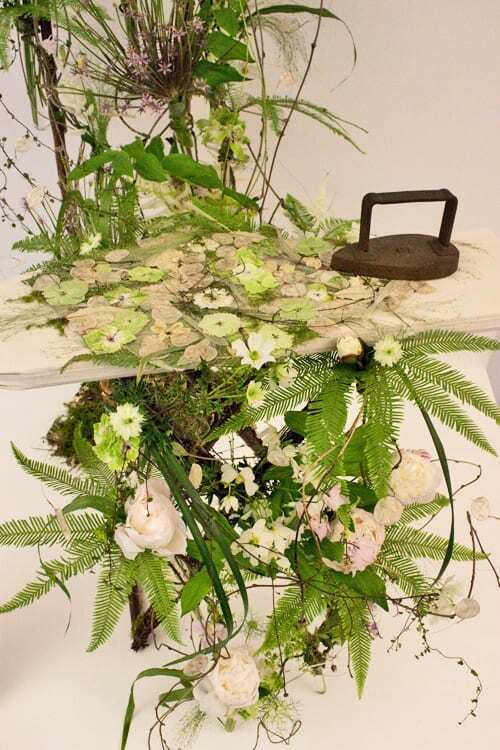 Yesterday when I was at the RHS Chelsea Flower Show, I visited the Floral Design Marquee. There was one arrangement in particular which really blew me away. 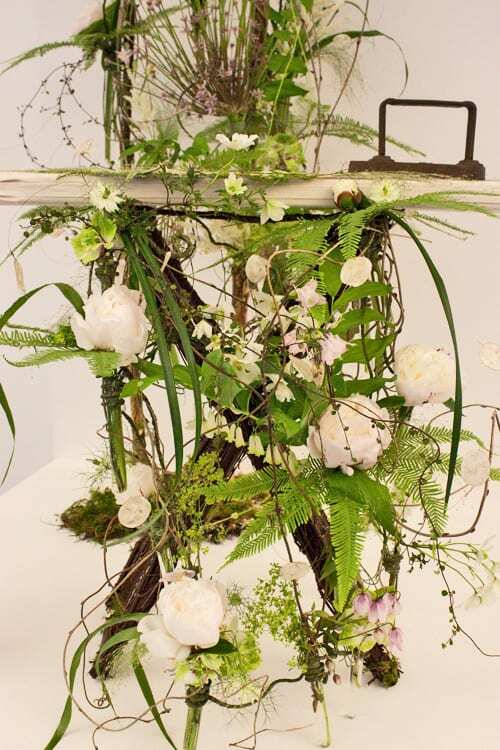 It was created by floral designer Angela Turner. The theme for this particular class was ‘Press Release’. Lots of participants had incorporated newsprint into their designs. 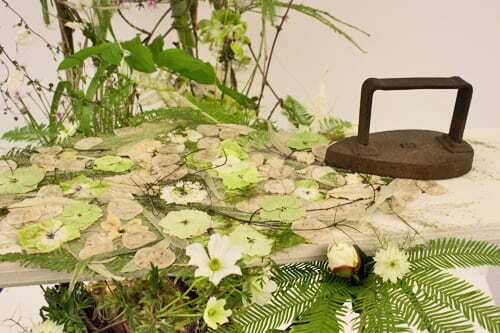 I loved Angela’s interpretation though…a vintage iron and ironing board, with pressed flowers! Isn’t it just stunning?! I loved the combination of different textures and the contemporary, natural feel of her arrangement. 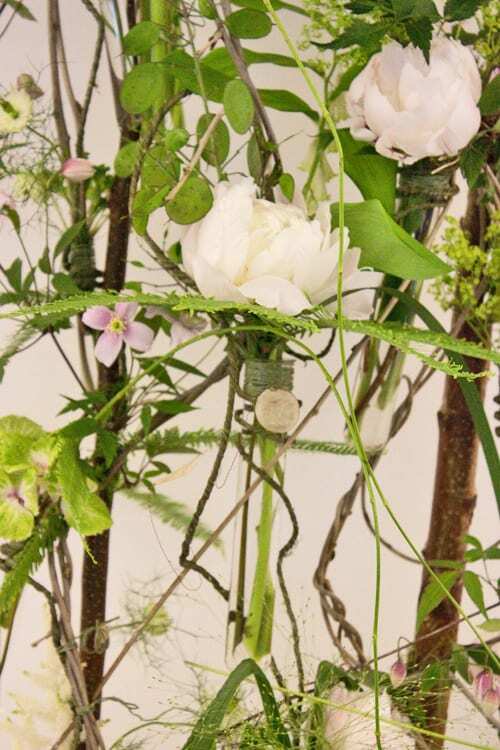 If you’re visiting the Chelsea Flower Show today, do make sure to visit the Floral Design Marquee. 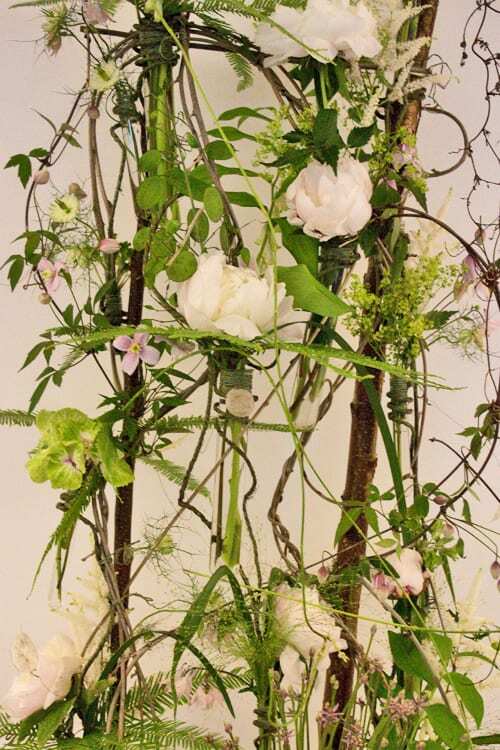 Angela will also be taking part in Winchester Cathedral’s Symphony of Flowers Festival next month, if you would like to see more of her beautiful work.